One of the best-selling games in its range is now available as an App too! 130 challenges to play! 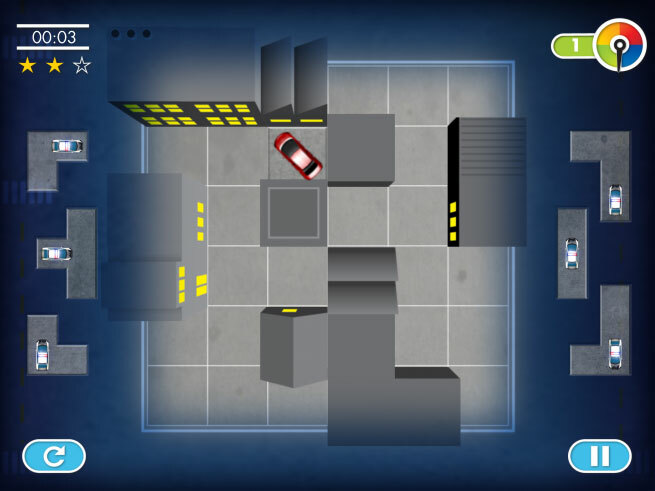 The aim of this SmartGame: Block the stolen red car with the police cars and prevent the bad guys from getting away! 1. Position the 6 police car pieces on the game board. The puzzle is solved when the stolen red car has no path to escape by driving horizontally or vertically. 2. You have to place all 6 police cars on the board, whether or not they are blocking the escape paths. You can rotate the puzzle pieces by clicking on them. 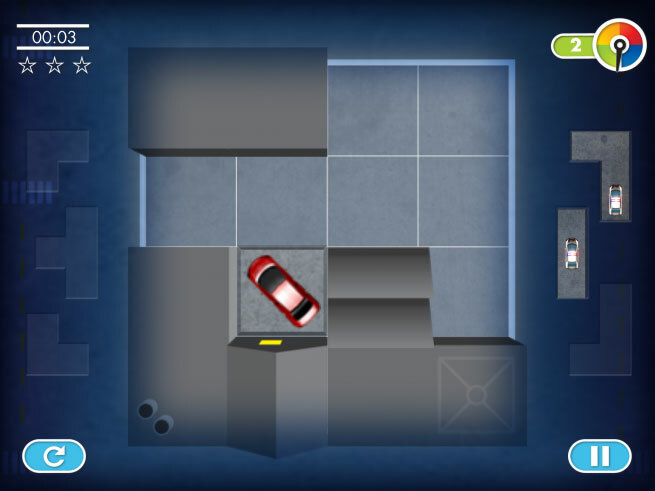 When you have placed all puzzle pieces on the grid, without blocking the thief, the red car will drive away and you need to try something different. There is only one solution! Have fun! 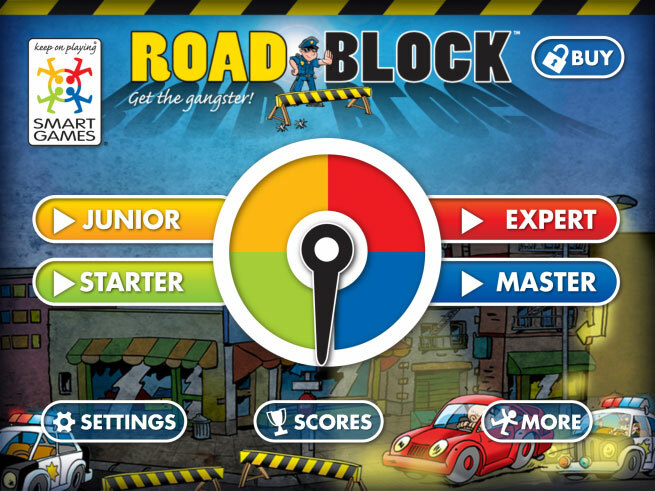 This App is based on the physical logic game "RoadBlock" from SmartGames, and includes 130 new challenges and 4 levels of difficulty. Play 8 free challenges and then upgrade to play the other 130 all-new challenges! The original non-digital RoadBlock game was released in 2006 and comes with 6 puzzle pieces with police cars, 4 pieces with buildings to put on the game board and the red car. The challenges as well as their solutions are printed in a booklet. All parts can be stored inside the game board. The original game has 60 challenges, all different from the challenges found in this App. Each challenge has only one possible end solution. If you like this App you will love the touch and feel of the original version!